What size do I make my graphics? What kinds of graphics you’re able to upload will depend on which version of our app you’re using. If you’re less familiar with graphics editing programs, one of the first things you’ll typically be asked to do before you can start in on your design is to enter the size that you’d like to make your file, so you will need to know the size before you start designing. 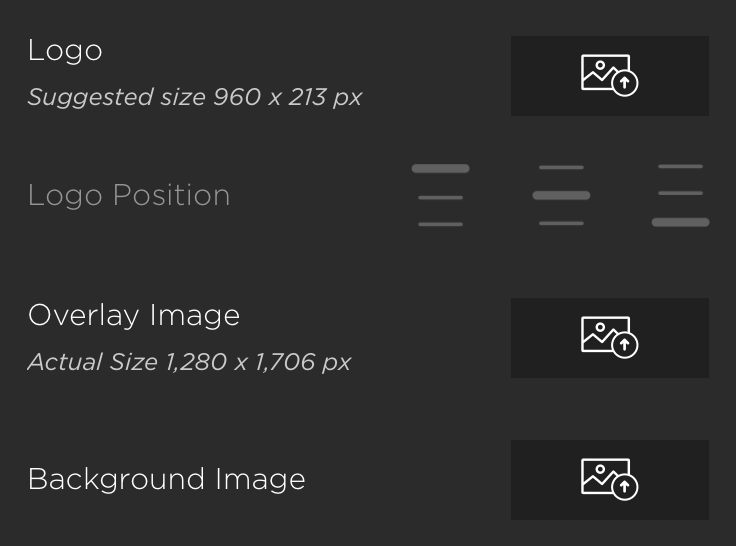 Each layout we offer (represented by the icons at the top of the design panel) has a unique size and will require layout-specific graphics. The overall size of your layout will be determined by your layout type (single photo, 1x2 strip, 1x3 strip, etc. ), photo crop, iPad orientation, the thickness of your margins, and whether or not you’re using a logo. There are two ways to determine proper sizing for your graphics: designing your layout first or referring to our design specifications. If you’re able to select your layout settings before your event, you can reference your design panel for the most accurate measurements for your graphics after making all adjustments. The sizing suggestions here update in real time as you make changes to the layout. If you won’t be able to design the rest of your layout before creating your graphics, no big deal! Our design guide includes sizing specifications for each of our layouts for your reference. Simple Booth apps can slightly adjust your graphics to compensate for changes to the margins setting but not other changes, so be sure to reference the proper layout, crop, and iPad orientation within our design specs before you get started. If you use HALO, refer to the design guide to reference sizing specifications for custom attract screens, Live Feed ads, and more. A note about file types: Logos and backgrounds can be PNG or JPEG files. Overlays must be a PNG file, which allows you to save with transparency. Check out our blog for tips on designing overlays.